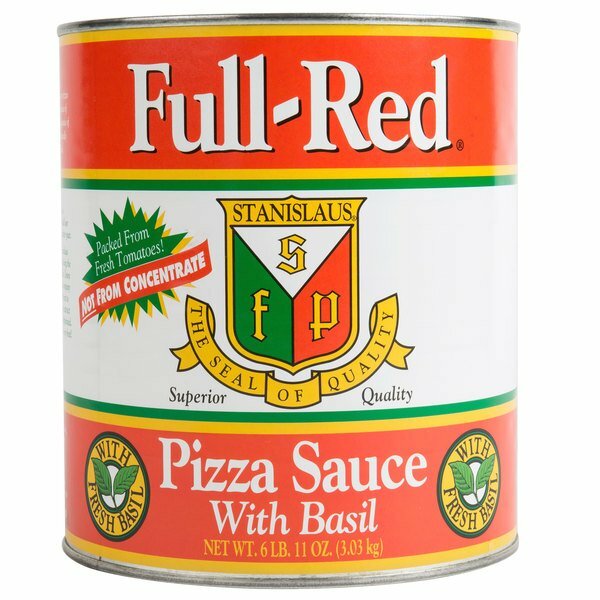 Creating your signature pizza sauce with an authentic Italian taste has never been easier than with this Stanislaus Full-Red pizza sauce with basil! 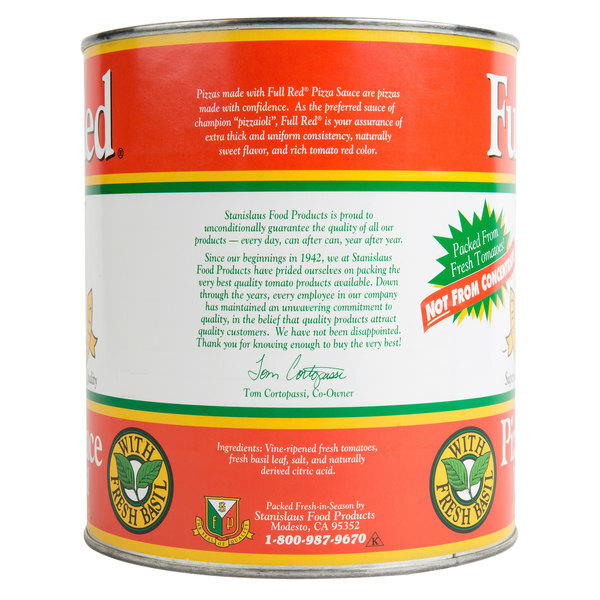 This sauce base provides the deep red color and a rich blend of tangy, sweet, and salty flavors your customers crave. Packed with high quality California vine-ripened tomatoes, extra-virgin olive oil, a blend of Italian seasonings, and fresh basil, this pizza sauce base has a smooth, velvety consistency that provides maximum spreadability. While this sauce serves as a base and is not fully prepared, it saves you most of the prep work in your high-volume kitchen while allowing you to add your own personal touch to your pizzas. The tomatoes experience minimal exposure to flavor-damaging heat to maximize the sauce's flavor profile. Plus, this sauce is packed from fresh tomatoes, and not from concentrate for maximum freshness. 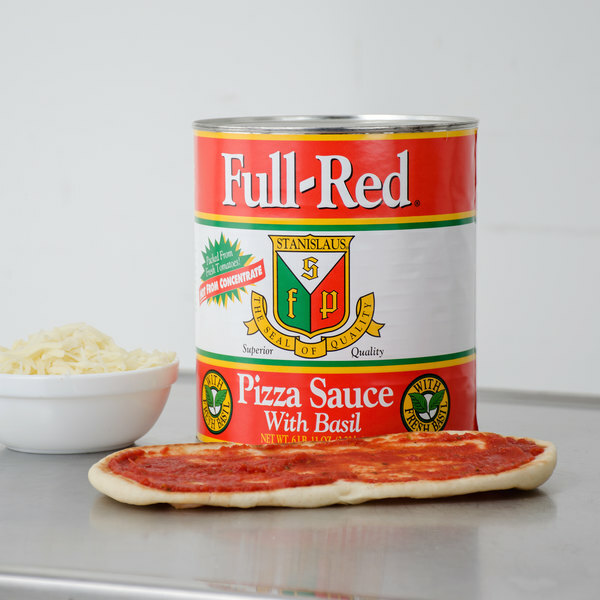 The can full-red pizza sauce with basil is delicious and the added basil makes the sauce taste super fresh. A great sauce for making our meatball subs.